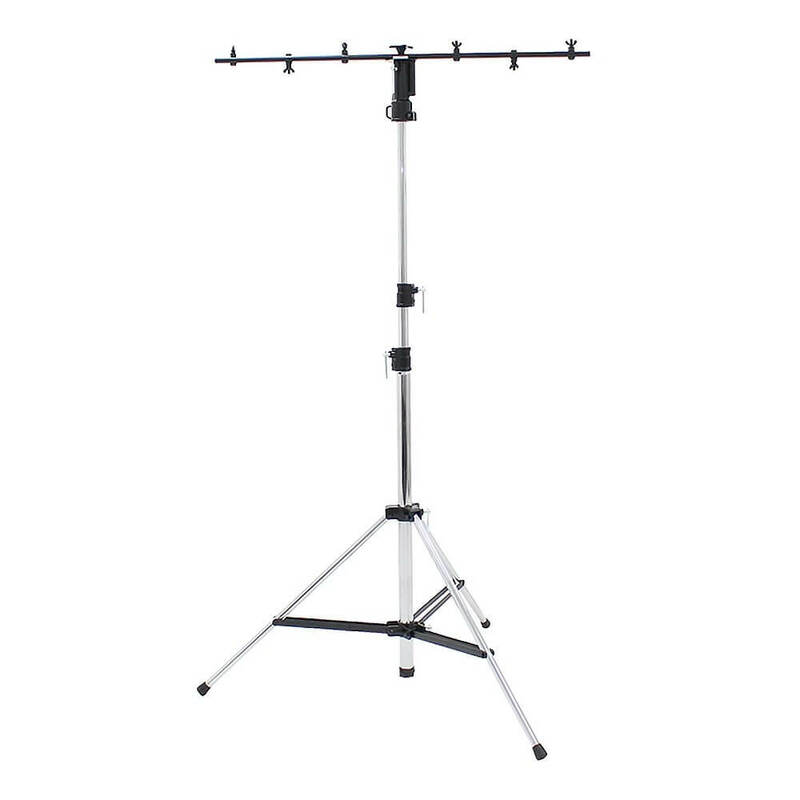 This heavy duty, 3 section chrome plated light stand with a extends to 3m heigh, yet also folds down to a compact and portable size. Each telescopic section is fitted with a spring damper. Protection shims are built into each of the cast sections to stop the knobs being over tightened and damaging the stand. Accepts 16mm or 28mm spigots to allow for various adaptors to be used and comes supplied with a T bar. 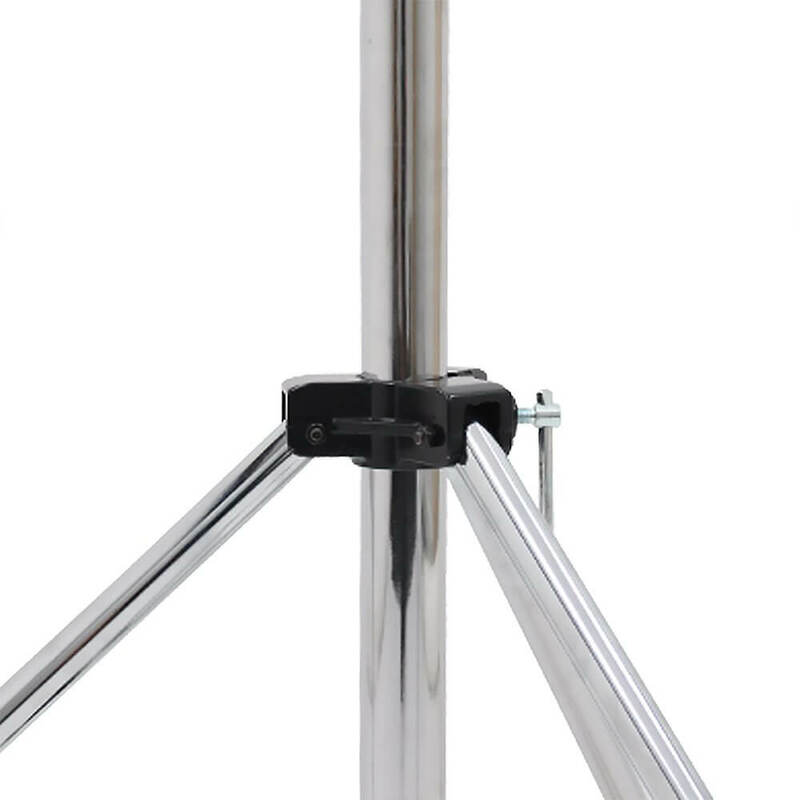 This heavy-duty, 3 section chrome plated light stand with a extends to 3m height, yet also folds down to a compact and portable size. 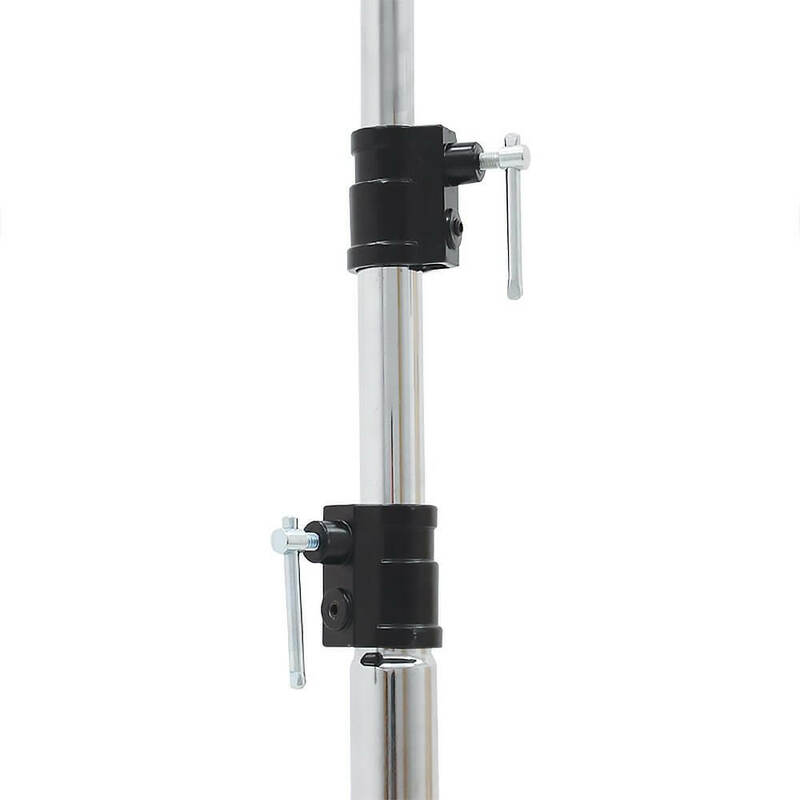 Each telescopic section is fitted with a spring damper. Protection shims are built into each of the cast sections to stop the knobs being over tightened and damaging the stand. Accepts 16mm or 28mm spigots to allow for various adaptors to be used and comes supplied with a T bar.